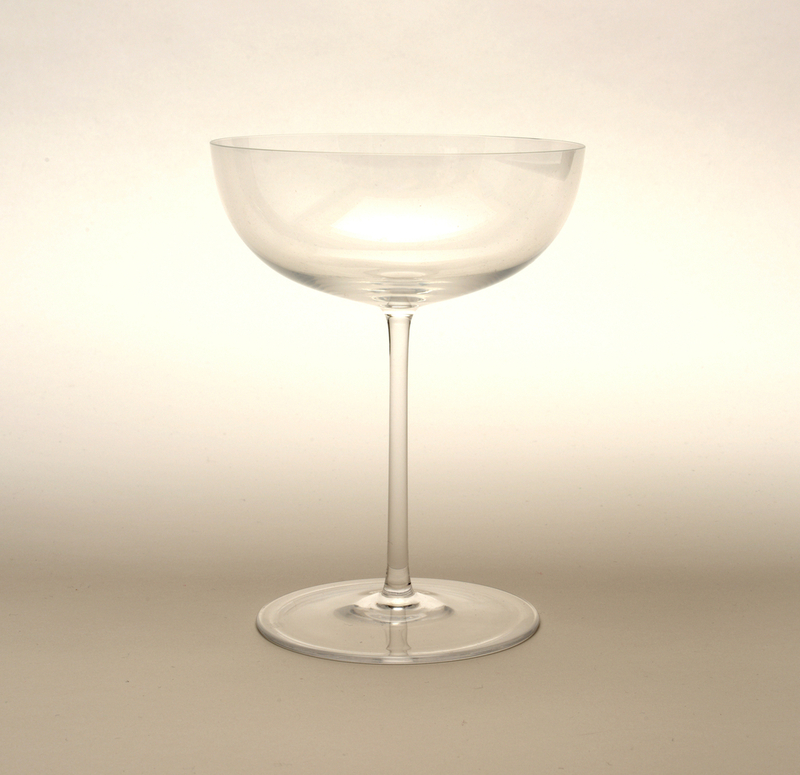 This is a Champagne cup. It was manufactured by Boehmische Manufaktur. It is dated 2008 and we acquired it in 2009. Its medium is mouth-blown crystal. It is a part of the Product Design and Decorative Arts department.